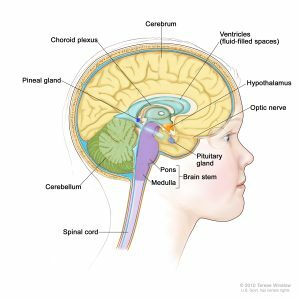 Fast Facts – What is a pediatric CNS tumor? Together, the brain and spinal cord make up the central nervous system (CNS). A childhood CNS tumor is a disease in which abnormal cells form in the tissues of the brain or spinal cord. There are dozens of different childhood brain tumor types and classifications, each based upon a tumor’s cell structure, composition, rate of growth and other characteristics. Learn more at http://makingheadway.org/facts/. https://makingheadway.org/wp-content/uploads/2017/04/greenicon-01.svg 0 0 mhuser_admin http://makingheadway.org/wp-content/uploads/2017/04/MakingHeadwayLogo-2.png mhuser_admin2017-08-22 16:31:372017-08-22 16:31:37Fast Facts - What is a pediatric CNS tumor? Congress Passes Childhood STAR Act. The Making Headway Foundation is a 501c3 non-profit organization that supports families of children diagnosed with brain or spinal cord tumors. Over the past 20 years, we have helped thousands of families through unimaginably difficult times, providing a wide range of holistic programs and services. EIN # 13-3906297. Copyright 2017 © Making Headway Foundation, a non-profit 501(c)(3) foundation. All rights reserved.